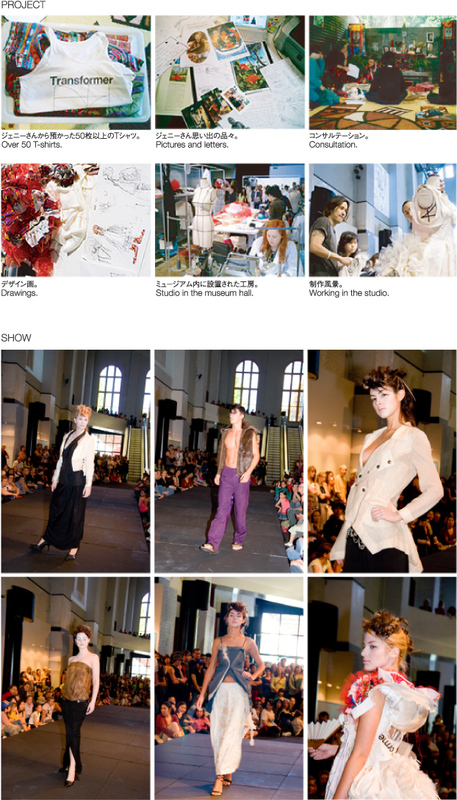 Tokyo Recycle Project #15 was presented to participants at the Powerhouse Museum in Sydney, Australia. We set up a studio in the atelier of the museum where visiters can see how our project progresses over time. In the studio we createdabout fifty pieces to show in the collection. Within these pieces were one special dress that were designed with much deeper consultation. 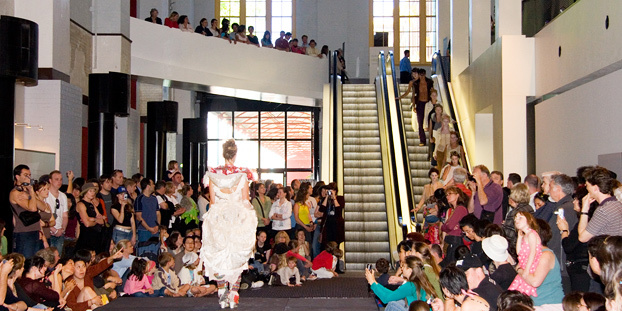 The project represented the idea of RECYCOUTURE which is a new system of recycling. With this new recycle concept we were abl e to make a wonderful couture dress designed from the combination of about fifty T-shirts donated by Ms Jenny kee. On the final day we presented this couture dress and the other pieces of the collection to the visiters to the Museum.